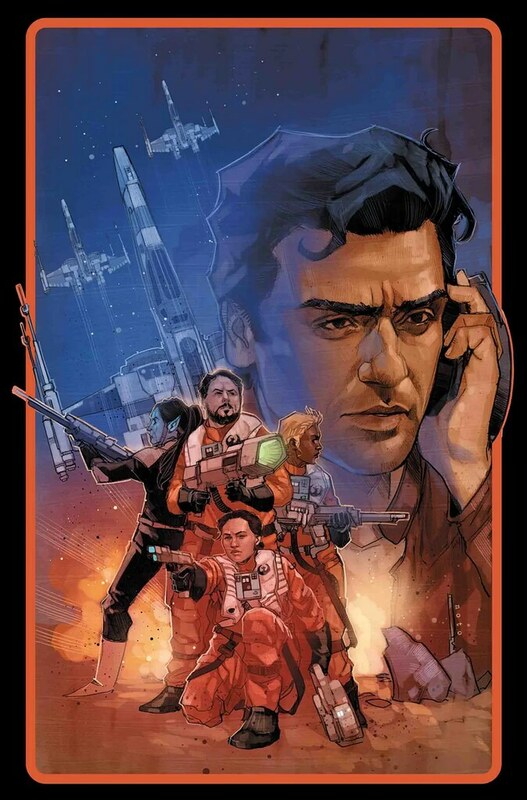 With only a couple issues left, Poe Dameron #29 sets up the endgame for the series. Poe learns about Black Squadron’s mission to go secure allies for the Resistance. With Snap Wexley in charge, it turns out to be a hard sell for those potential allies. Perhaps the Resistance needed better intel? In this issue, we learn about Black Squadron’s first stop on their recruitment drive: Pastoria. It’s a remote world with very little in the way of resources, but a planet with influence. If they could join the cause, they could persuade others to do so. The problem is that King Siroc has an agenda of his own. Black Squadron gets thrown into a mission to help the king, but things don’t go as planned. And that’s where the issue ends. It doesn’t say where they are heading next, so we don’t know how many stops they have planned for this recruitment mission. As a self-contained story, it’s fun and entertaining. It gives a bit of a feel for how the rest of the galaxy must be viewing the Resistance and the First Order. However, with just two more issues in the series, I’m not sure where this one is going. We know they don’t succeed in getting any allies to help the Resistance on Crait. We also know Black Squadron’s transmission was cut off, so at some point this little flash back tail is going to get cut short. From that point they’ll either show up and fill Poe in, maybe even have a nice reunion with everyone, or Poe will have to find them. But the question is, how much into Episode IX territory can this story go? Could we potentially see Lando show up? That’s about the only big surprise I can see in store. As is, with great artwork, and a good story, I give this issue a four out of five metal bikinis. I’m not sure where the overall story is going, but hopefully it’ll pack some punch and make this journey a good one to end on.